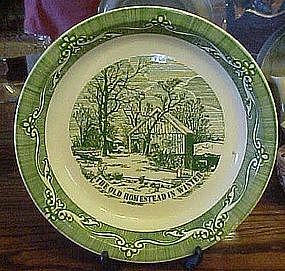 A neat pie plate with the Currier & Ives scene "The old homestead in the Winter" Green on white. 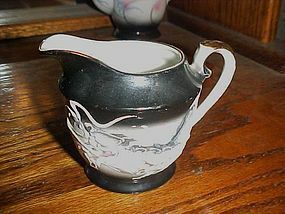 Probably made by Royal China. On the back is a brief history of the currier and Ives scene. No chips but there is a smalll hairline crack. 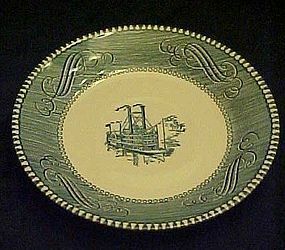 The pie plate measures 9 7/8". 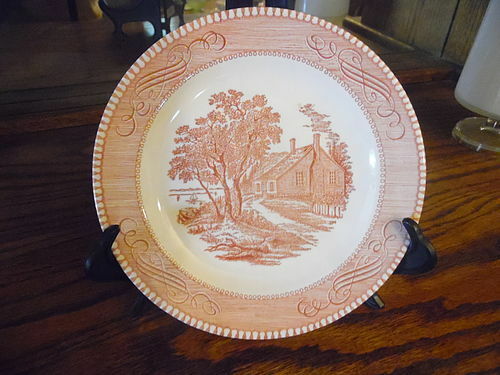 Currier and Ives The old grist mill pink red dinner plate 10"
Currier and Ives “Old Grist Mill 10" Pink, (some refer to it as red) Ironstone Plate Royal China Co. USA. 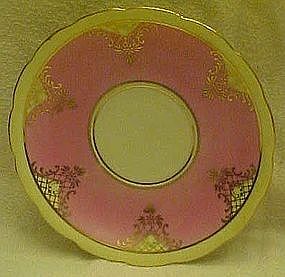 Harder to find Royal China Co Pink Great Condition. No cracks, chips, or stains. Dishwasher, detergent, and oven proof. All decoration under glaze. I have 3 available. Price is for each. I do combine shipping if interested in multiple pieces. Please include zip code when inquiring. 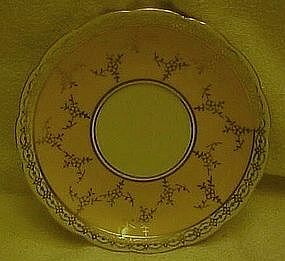 Pretty china plate withthick gold edge trim. 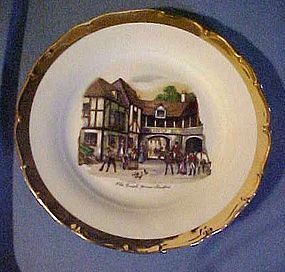 Probably a nice quality souvenir plate of the Old Coach House Stratford. Measures 9 1/2" diameter and is in perfect condition with no chips, cracks or crazing. Made in Czechoslovakia, has two fir trees, the number 1792 and a tiny crown. Here is a nice replacement saucer if you have broke yours. Made in Czechoslovakia. Wide green band with scalloped edge. Gold flower and swag pattern accents and gold edge trim. Measures 5 1/2" in diameter. Perfect condition. Here is a nice replacement saucer if you have broke yours. Made in Czechoslovakia. Pink band with light yellow scalloped edge. Gold accents and trim. Measures 5 1/2" in diameter. Perfect condition. Here is a nice replacement saucer if you have broke yours. Made in Czechoslovakia. Wide yellow band with scalloped edge. Gold flower & vine accents and gold trim. Measures 5 1/2" in diameter. Perfect condition. 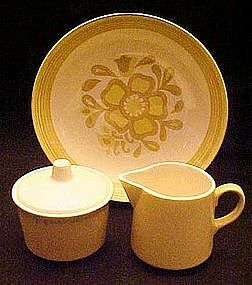 Nice vintage dinnerware by Royal China USA in the Damsel pattern with bold yellow flowers on white background. Cavalier shape, dishwasher, microwave safe and ovenproof. Nice 6 1/2" bread & butter plates are in perfect condition for $3.50 ea and there are 16 available. 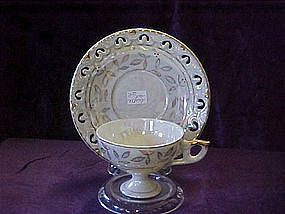 Also have 15 6 1/2" coupe cereal bowls, all perfect at $7.50 ea. Shown are more pieces we have available in this set. Everything is perfect. 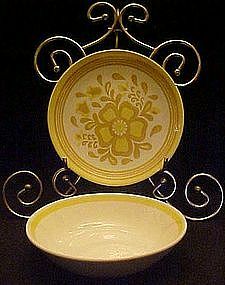 Nice vintage dinnerware by Royal China USA in the Damsel pattern with bold yellow flowers on white background. Cavalier shape, dishwasher, microwave safe and ovenproof. 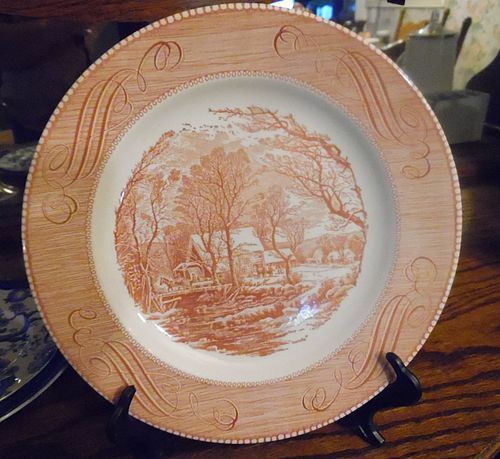 Nice 10 1/8" dinner plates are in perfect condition for $7.50 ea and there are 14 available. Also have 16 cup/saucer sets, all perfect at $7.50 for a cup with matching saucer. Shown are more pieces we have available in this set. Everything is perfect. 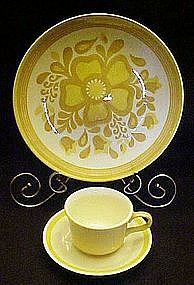 Pretty and delicate thin matching porcelain cup and saucer set. Hand painted basket pattern with an all over lustre finish. Pristine condition with no chips cracks or wear. 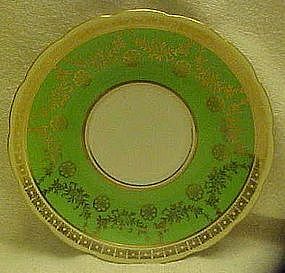 Saucer marked D&B Germany but cup is marked OHME Germany. But they definately do go together and have always been a set. Pretty gold trim. 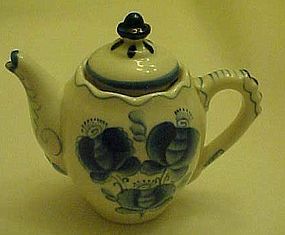 Pretty delft teapot is small and has 2c on the bottom which I'm assuming means 2 cups. Pretty cobalt blue floral decoration on white, all underglaze. Marking on the bottom is odd and I can't understand it. It's a pie slice shape with unlegile markings. also stamped 3P.15K. Great condition, and measures6" to the top of the lid's finial. Not sure of age or company who made it. Need photos of bottom stamp just email me. 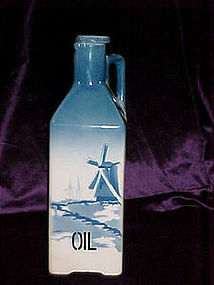 Delft blue oil decanter with ceramic top (cork part gone). 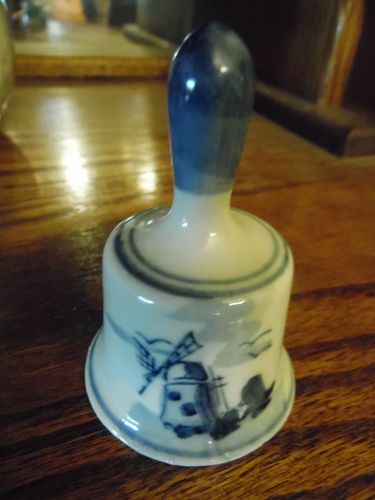 Large sized, measures 8 1/2" tall. has windmill scene typical of delft design of a windmill scene. This is very old and made in Czechoslovakia. Very good condition. Pictures do not due justice to the nice color. See my other adds for matching pieces to complete your set. I'm almost sure these are made by hall, but no marks. Heavy and decorated with lots of gold over blue Individual size or demitasse. Open sugar measures just 2 1/4" tall. Paint is excellent and no damages or repairs. 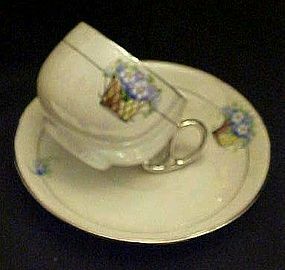 Pretty little footed tea cup with matching saucer in the demitasse size. The cup is a little over 2" tall and the saucer has cut outs around the edge and measures a little over 5" wide. The pattern is all in gold on both pieces with a lustre, or mother of pearl finish. Very pretty little set. I think I have three sets all together. Price is for one cup with saucer. Let me know if you want more. Perfect condition. No sticker or makers marks.